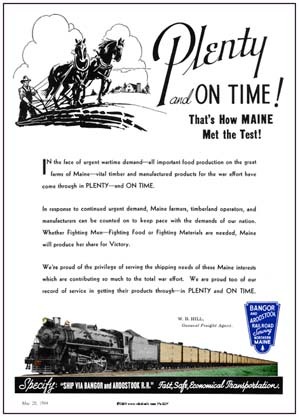 Bangor & Aroostook Railroad used the tag line: As Strong as the State it Serves. 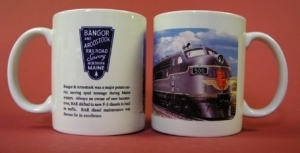 Bangor & Aroostook Coffee Mug featuring logo, verbage and F-unit diesel used by the road. Tin sign promoting the Bangor & Aroostook Railroad fast and dependable service. A very rare advertisement indeed.